This decorative background has a nice balance between digital, geometric and organic graphics. A butterfly sits on top of a clusters of circles with flower elements. There's a square dot pattern background on top of a soft cool blue gradient. 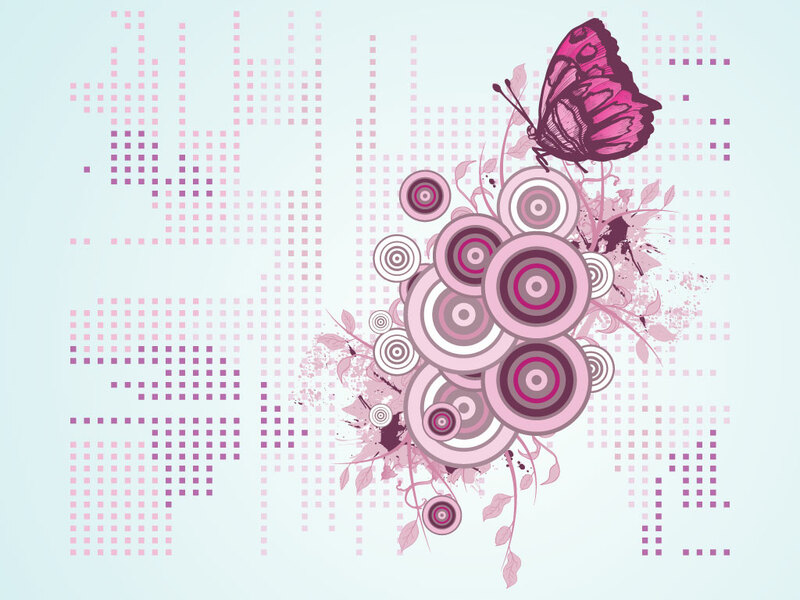 Tags: Abstract, Butterfly, Circles, Flowers, Scroll, Soft, Spring, Squares.